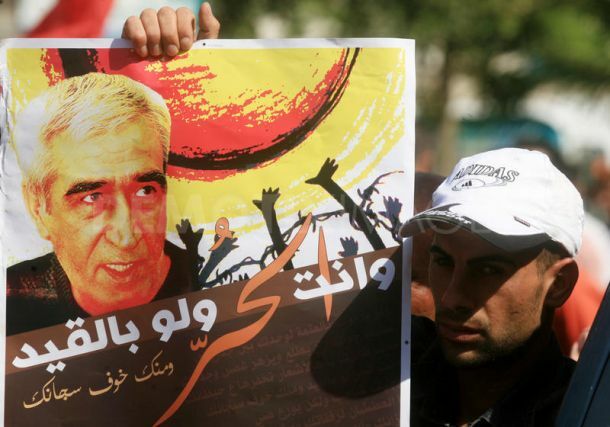 Free Ahmad Sa’adat and all Palestinian political prisoners! End the denial of family visits! Freedom for Georges Ibrahim Abdallah! On October 17-25, activists and organizers around the world are holding events, protests, forums and discussions – calling for freedom for Ahmad Sa’adat, Georges Ibrahim Abdallah, and all of the Palestinian and Arab political prisoners in occupation jails – and under oppression and behind bars around the world. These events are also focusing on the escalating denial of family visits to Palestinian prisoners, demanding an end to this practice of isolation and collective punishment of Palestinian families. See the list of events below, and join the days of action yourself: hold an event or action for Palestine and Palestinian prisoners! 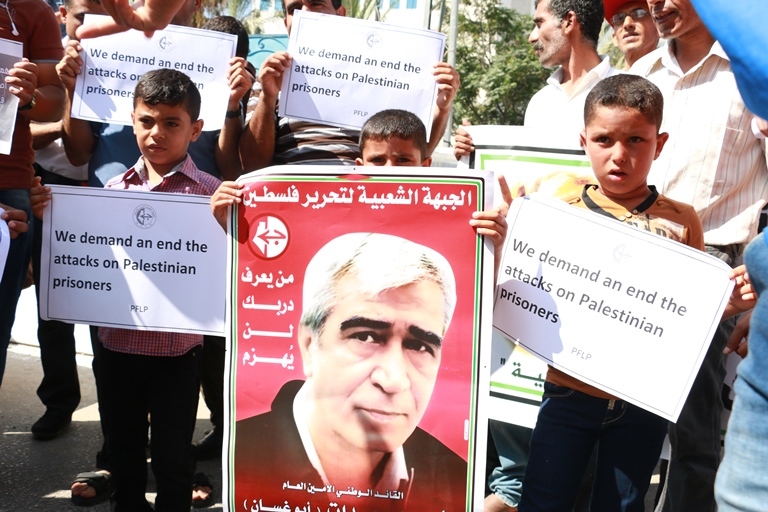 Email us about your actions for Ahmad Sa’adat, Georges Ibrahim Abdallah, and Palestinian prisoners! Contact us at campaign@freeahmadsaadat.org or use the form below. Korsgade 29, 2200 København N.
Demonstration: Freedom for Georges Ibrahim Abdallah! Rolling Picket: Free all Palestinian political prisoners! Next articleOctober 21, Greece: Protest to Free Palestinian Prisoners!